Sun., May 1, 2016, 4 p.m.
Jean Peters felt a wave of anxiety sweep over her as she watched video footage of her frail, 85-year-old mother being ridiculed by a nursing aide at York Gardens senior home in Edina, Minnesota. Now, nearly two years after catching the incident on video, Peters and her sister Kay Bromelkamp have become zealous proponents of using miniature cameras to catch abuse in senior homes. The cameras, which cost as little as $80 and can fit inside a teddy bear or potted plant, have surged in popularity despite privacy concerns and calls for more regulation. Abuse caught on hidden “granny cams” in recent months has led to arrests and criminal charges for staff at two Twin Cities-area nursing homes. In a case last month, footage showed an aide at a Hopkins residence striking an elderly patient on the head with an elbow and a hair brush. Months earlier, an employee at a New Hope nursing home was caught on tape throwing a towel at the face of a bedridden dementia patient; the camera also caught staff talking on cellphones when they were supposed to be caring for patients, according to police reports. Since the last case surfaced, the state’s ombudsman for long-term care has received at least one call a day from concerned relatives. Many families want to know how to install cameras after detecting suspicious signs, such as sudden mood swings or unexplained bruising, said Cheryl Hennen, state long-term care ombudsman. A half-dozen states, including Washington, have established rules governing electronic surveillance in senior homes, but Minnesota law is still largely silent on their use, which has allowed the technology to proliferate. 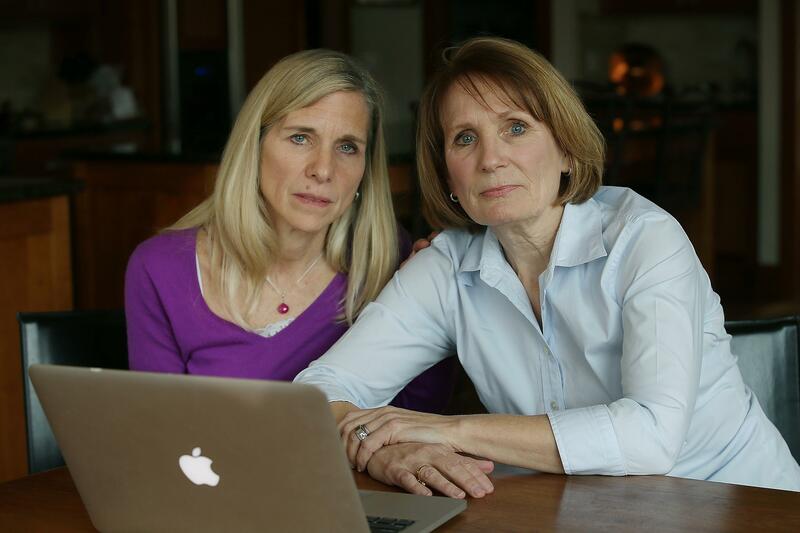 For Jean Peters and her sister Kay, the decision to install a video camera in their mother Jackie’s room was a last-ditch step for a family that suspected lapses in their mother’s care. “We never dreamed we would find what we found,” said Peters, a nurse practitioner. The warning signs were many. There was the sudden and unexplained drop in their mother’s weight, from 105 pounds to 94 pounds, which made her already-slight frame look gaunt and emaciated, the sisters said. There were the mornings that Jackie, who suffered from vascular dementia, looked unbathed and complained of soreness in her arms. And there was the time their mother shook her head and scolded herself, saying, “I’ve been a bad girl” – language that was out of character, the sisters said. But what most worried the sisters, who visited their mother three to six times a week, was the facility’s lack of response to their concerns. Peters said she was shocked one morning to witness two angry employees at York Gardens screaming at each other within sight of elderly residents gathered for breakfast. When she complained, administrators seemed more concerned about identifying who had been yelling rather than over the effect on vulnerable residents, Peters said. “There were a lot of little things that just didn’t seem right,” Bromelkamp said. “A line we kept hearing was, ‘It is what it is,’ ” Peters added. The family decided to act. Without telling anyone at the facility, Peters carefully installed a hockey-puck sized camera, bought on Amazon for $199, in plain view atop a refrigerator at the center of her mother’s room. Instantly, the family had round-the-clock, live feeds to their smartphones and laptops, including e-mail alerts when the camera detected activity. Within 72 hours, the sisters saw enough disturbing footage to contact the president of York Gardens’ owner, Ebenezer, leaving him a flurry of messages. Beyond the verbal abuse, video clips showed aides repeatedly coming and going from Jackie’s room without taking her to activities or escorting her to meals, which the sisters suspect explained her weight loss. At other times, staff failed to help with her washing and toileting, and could be seen on video sleeping or watching television rather than providing care, the sisters said. A spokeswoman for Ebenezer said the facility took “swift and immediate action” once it learned of the issue. She said the facility reported the concerns to the state Department of Health immediately, and administrators met with staff. Ebenezer investigated the allegations, then terminated the aide who verbally abused Jackie and assigned more training for a second aide, the spokeswoman said. The facility also brought in experts for more staff training. “We remain committed to providing employees the training and support they need to ensure residents receive the best possible care,” she said. A state investigation found that verbal and emotional abuse had occurred and said the individual aide, and not the facility, was responsible for the maltreatment. Since their mother died in early 2014, Peters and Bromelkamp estimate they have advised more than 50 friends and families to use cameras, even helping some to install the devices. They advise families to think of the equipment as just one more piece of the overall cost of care for their loved ones, even when a family member is being cared for by aides at home. Published: May 1, 2016, 4 p.m.